I woke up yesterday morning to a voice mail notification and a long list of email and ping back alerts. Something was going down, and I was sleeping through it. SWEET validation for a tough 2012! 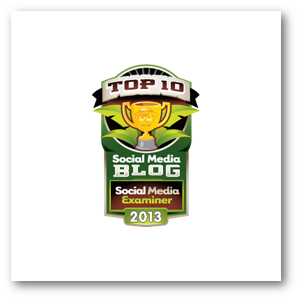 You may have noticed a new badge on the right hand side of this site for the Social Media Examiner Top 10 Social Media Blogs of 2013. I am a proud new member of this exclusive fraternity. And it feels awesome. In and of themselves, awards and recognition don’t mean much. But given where I’ve come from and what I’ve been through the past 17 months, this was sweet, sweet validation. This was the capper on the most difficult — yet most rewarding — 17 month stretch of my professional life. First, let me say that the danger of such recognition is getting caught up in it. It’s important to remember that it is based on the subjective assessment of three people. Three people I respect immensely (and three people who will now find themselves on my Christmas card list) but three different people could have easily left me off of the list. There are likely dozens of blogs that deserved similar recognition. I wouldn’t necessarily say I feel lucky to have been named, but I do acknowledge a certain level of good fortune. That said, the success of my blog has not been by accident. A year ago, I looked at the 2012 version of the Top Social Media Blogs and used it as a guide and as inspiration. When that list came out, it had been about five months since I was laid off. My business and blog lacked a clear path, and I was making close to no money. Those first five months were marred by entrepreneurial paralysis. Starting my own business was completely new. I was overwhelmed. I was wearing several hats I had never worn before. I was afraid to take risks. And as a father and sole provider of a family of five, I was scared and losing confidence fast. But the start of 2012 marked a change for me. And that list was my roadmap. I followed those people on that list. People like Marcus Sheridan and Heidi Cohen were a big reason for my newfound direction. I read these and other blogs religiously, soaking up as much knowledge as I could. It was far fetched at the time, but I actually set it as a goal to make that list. Given where my blog was then, I may not have been thinking straight (this was a secret I told no one until now). But it’s by setting seemingly impossible-to-reach goals that makes them possible to reach. Looking back on the past 17 months to the day that I wrote my first blog post on August 29, 2011… No doubt about it, it was hard. I know that my blog was not built in a day. I want you to know that it wasn’t built in a day so that you can set realistic expectations. What you see today is the result of a series of failures and changes, redesigns and restarts, experiments and wild guesses. I want to share my story with you for this reason. My blog is imperfect. It is less imperfect than it was a year ago, but don’t believe for a minute that I set out on this journey 17 months ago with a clear strategy. I tell my story because I know that you may be struggling with your own frustrations and are ready to give up. You may see me as “The Facebook Guy,” but listen… I’m no different. When I started my Facebook Page on November 4, 2011, I wrote 36 posts during the first month. Of those 36 posts, 26 didn’t receive a single comment or like. I know it’s hard. Today, my Page is a thriving community and referral engine of close to 9,000 Facebook Fans. And I did it on a shoestring budget. When I started my blog, it often seemed pointless. No one was reading. I couldn’t get any big names to acknowledge my existence. But my inexperience and lack of confidence showed through. I nearly gave up. During October and November of 2011, I received fewer than 4,000 page views in each month. But now these pages have received more views than that on every DAY of 2013. And now the recognition is coming. I found a purpose. I found my niche. I found my routine. And I found focus. The past 10 years have been a trail of both personal and professional adversity, adventure, tragedy and triumph. And right now, I feel like I’m on top of the world. No matter where you joined my journey, I want to thank you. Thanks for being a part of it. 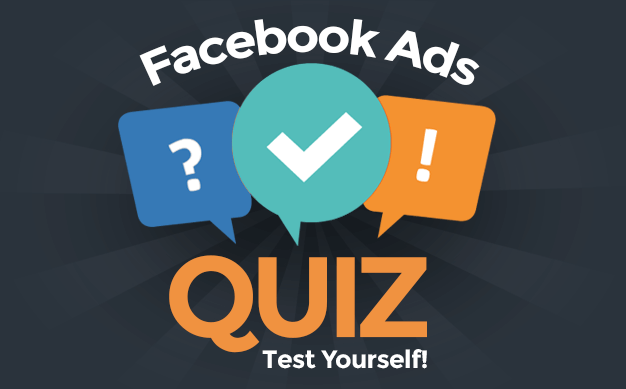 Just know that 2013 will be the year that we dominate Facebook and social media marketing — leading to measurable leads, revenue and results — together. And who knows? Maybe next year at about this time, you’ll be talking about your path to the Social Media Examiner Top Blogs of 2014 list. And maybe — just maybe — my blog provided some inspiration to get you there.